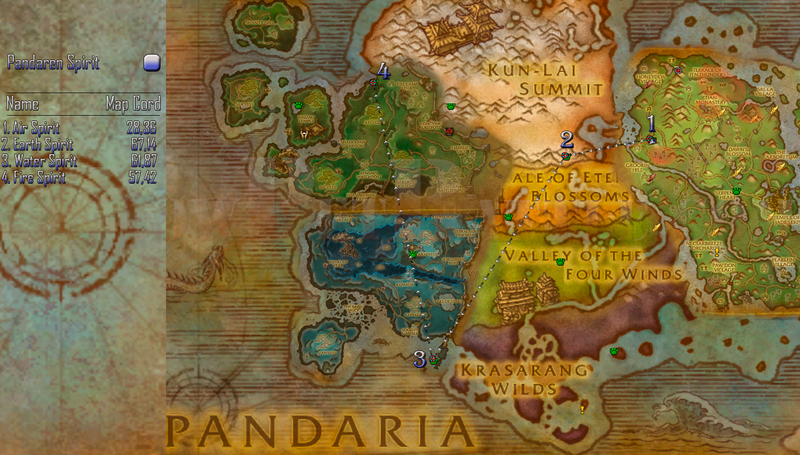 This guide incorporates every Pandaren Spirit Daily quest into one flight path. Each are color coded and ordered to make it as quick and seemless as possible: 1 Air. 2 Earth. 3 Water. 4 Fire. 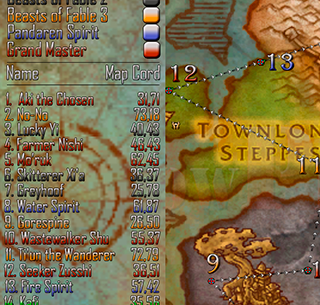 This path takes about 20 minutes including travel, and should be worked into your 19 bag dailies path, located here: All 19 Grand Master Pet Bag Rewards. Within each of these bags you have an opportunity you receive a miniature version of your very own Pandaren Spirit!